An auto accident brings with it a terrible experience and an aura of sadness. This is simply down to the fact that there are many things to recover from, as it takes a lot of resources from your physical and mental bank. 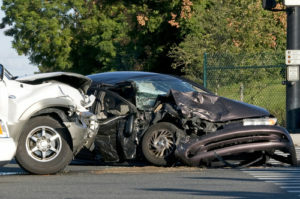 Also, you would have to spend quite a large sum of money on hospital bills, pills, and other forms of medication.While convalescing and recovering from the shock and trauma of an auto accident can be hard on you, this burden can be reduced by hiring a credible auto accident attorney who would fight for you and take up your case. Rawa law group is one of the most credible legal outfits in Victorville. Our team of legal experts and auto accident attorney in Victorville knows what it takes to win such cases. Therefore, if you or anyone else has been involved in an auto accident, do not hesitate to call on us as we are always at your beck and call. We at Rawa law group aren’t blowing our own trumpets but it is safe to say that with over twenty years of experience and our long list of legal battles and tussles in our favor, we are one of the best in Victorville. We have a track record of victories in several auto accident cases over the years and we have a no deposit policy which means that you do not pay until we win your case. Another key thing to note is that our legal consultation is free and you can get in touch with a seasoned auto accident attorney in Victorville for free legal advice and discussion scrutinize your case. You can reach us through the contact written below.